On the Hadrians Wall National Trail in the village of Walton Florries on the Wall Bunkhouse provides perfect accommodation for walkers & cyclists. Located right on the Hadrian's Wall National Trail in the village of Walton, Cumbria, Florrie's on the Wall Bunkhouse provides perfect accommodation for walkers and cyclists between April to October and for sole use bookings in the winter season. This newly created bunkhouse provides a comfortable night's sleep, breakfast and evening meals. Each bunkroom sleeps 4 (one can sleep up to 5 with a double bed bunk in the family room) and all have en suite bathrooms, walk in showers and underfloor heating so perfect for after a long day in the saddle or on foot. Dogs are welcome if you hire a whole 4 bed room. A filling breakfast is provided, pack lunches can be supplied and you can book ahead for a home cooked evening meal (self catering not available April-October). After dinner socialise with your group or other guests in the dining area where you can have a drink from the bar, relax or play a board game. 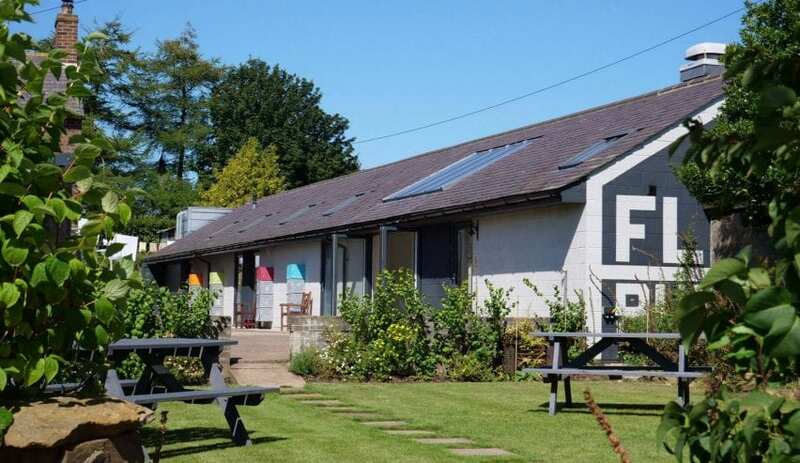 From October 2019 the whole bunkhouse will be available for self-catering groups during the off season. Groups will have sole use of the bunkhouse including the cafe kitchen to self cater all their meals. This accommodation is featured on our map of the Lake District and here is its own website. April to October. (Sole use for groups available in the winter season). B&B £25pp. Private rooms available. Ask for group rates. Book Via Website or email or phone. By Foot: Follow the Hadrian's Wall path into Walton. Do not divert from the route, we are located directly on the trail. By Road: From the A69 Carlisle to Newcastle road take the turnings signed Brampton. In Brampton turn onto A6071 Longtown Road, take right turn signed Walton. Once reaching Walton take the road to the right towards Lanercost. 100m down the road we are on the road to the right hand side with the big blue bike sign in our garden. There are buses from Carlisle to Brampton which is approximately 3 miles walk away. Trains to Brampton station (6 miles) or Carlisle station. This accommodation allows dogs by arrangement, is available to individuals, has availability this New Year and is on the IHUK signage page, the Hadrians Wall National Trail and the North Pennines. Florrie’s on the Wall looking lovely with their new Independent Hostels sign. 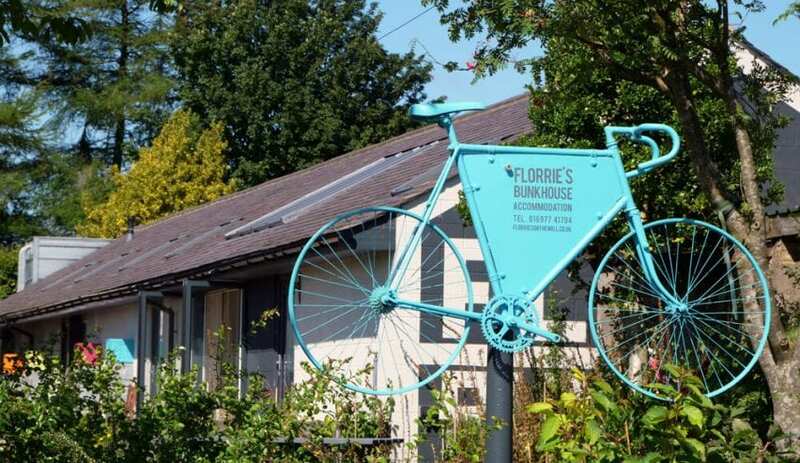 Florrie’s on the Wall is a family run bunkhouse in the pretty village of Walton in Cumbria. Directly on Hadrian’s Wall National Trail, 59 miles from Wallsend in the east or 25 miles west from Bowness on Solway. 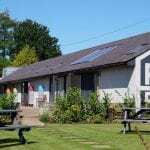 The bunkhouse provides a warm welcome, clean and comfortable accommodation with home cooked meals. All a stone’s throw from Hadrian’s wall. 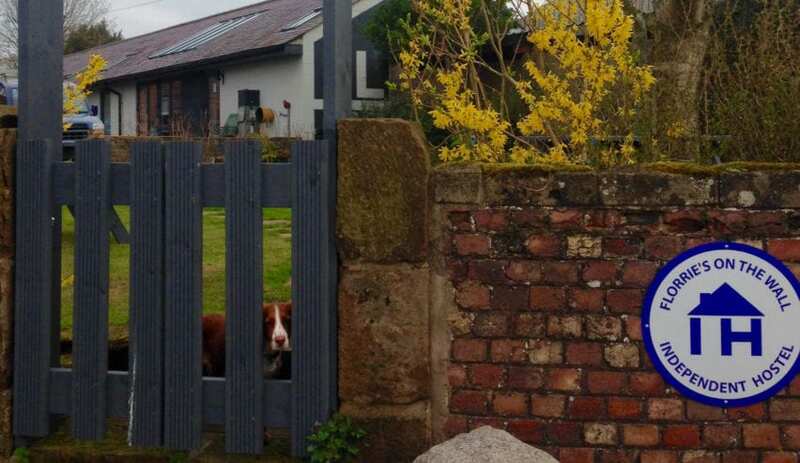 Dog friendly accommodation near Hadrian’s Wall in Cumbia. 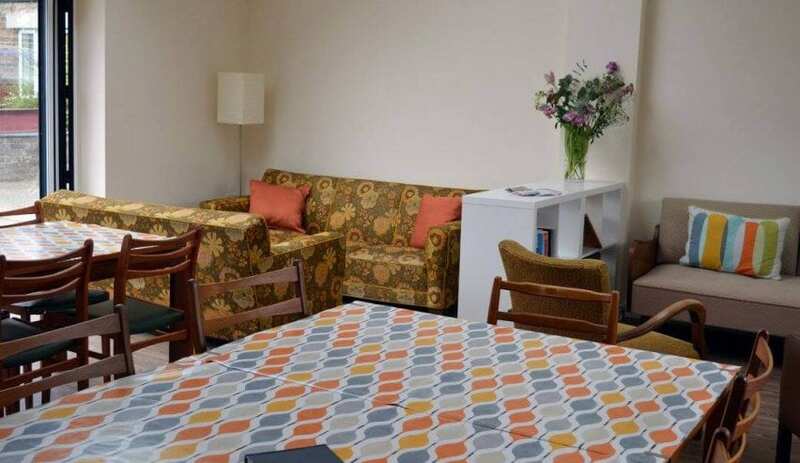 We have private and family rooms as well as dorms, so we can cater for all of your needs- especially as can provide you with two hot meals and a packed lunch every day! We also have self catering facilities, but they are unavailable from April- October- sorry for any inconvenience. We have a drying and a storage room for your equipment after a day out exploring, and a well equipped stock of evening entertainment. WiFi for those who want to stay up to date, board games for a more tradition form of entertainment, and a bar to aid your day into relaxation. Ideal accommodation for those walking the Hadrian’s Wall National trail path, directly on the route, 59 miles from Wallsend in the east or 25 miles west from Bowness on Solway. With bedding and breakfast included, evening meals available and a super friendly atmosphere for chatting over a drink in the evening.